The annexation of the island on December 1, 1927. The first hut, built on Kapp Circoncision, in 1929. 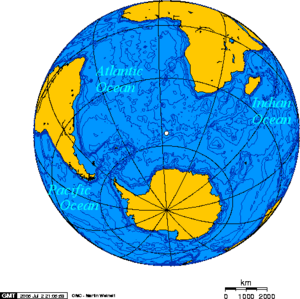 NASA image of Bouvet Island from space. 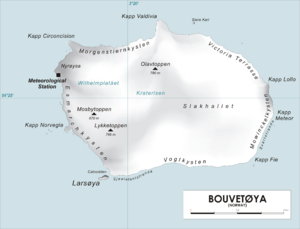 Bouvet Island Facts for Kids. Kiddle Encyclopedia.